Reputation management is the complex process of monitoring and adjusting your online reputation. It can be done by either individual persons or companies. Studies have found that more than 2/3rds of all American companies have rejected employees at one time or another due to their online reputation. Sometimes, these companies screen employees by their Facebook or other social media accounts. Other times, companies screen by hits on a Google search or by using automatic online reputation checkers. Any mention of your name on the internet will eventually be noticed, by either online reputation check programs or potential employers. This can be dangerous. Business reputation management is even more complex. 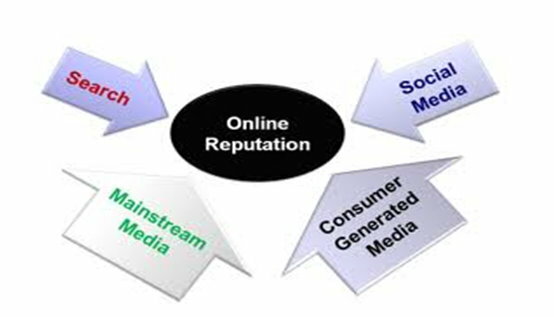 A business’ online reputation depends on online reviews sites, bloggers, scam report sites, and news sites. Businesses often have different overlapping reviews in different online communities. For example, a negative news article about a new startup could have made the rounds of tech blogs, but not spread to more mainstream communities like Facebook. Businesses are also more likely to have their online reputation attacked. Thousands of businesses have been targeted by competitors or vandals, who post phony reviews and scam alerts across the web. These fall into two broad categories: removing bad press and creating good press. If an individual or a company has had their name dragged through the mud unfairly, there are many actions that can be taken. Most blogs and forums include a clause in their comment policy against personal attacks. By bring any attack comments to the attention of moderators you can usually get them removed. Similarly, large content sites often have anti-spam policies that can be brought to bear on baseless reviews or negative articles. If a website owner refuses to take down baseless bad press, you can submit a libel claim to legally force them into compliance. This process can take a very long time. Navigating all the different blog policies, moderator contacts, and legal options can be a nightmare. It saves a lot of time and stress to hire a reputation management firm that has dealt with this sort of thing before. Sometimes it’s just not possible to get rid of bad press. Fortunately, it is possible to bury it under good press. A common strategy is to improve the SEO of good press, good reviews, and company releases. This can be done on websites you own or on websites willing to help you out. If there is not enough positive press out there, reputation managers can work to generate legitimate press from interested bloggers. Reputation management is also about choosing your battles. Some negative mentions can be buried by SEO, but others will keep cropping up unless you respond to them directly. Writing an official response to bad press, and then pushing this response’s popularity on Google and social media, can go a long way to restore your reputation. A good reputation management team can build your reputation to the point that the top ten Google results for any search related to your business will all be positive.